After rumors and mockups and all sorts of speculated features, Apple has finally brought true multitasking to the iPad in iOS 9, with the long-rumored split screen feature (which is also in El Capitan) that lets you use two apps at once. This feature is actually two different ones called Split View and Slider Over, and they both work differently. Slide Over lets you swipe in from the right side of the display to open a new app alongside an existing one. A window, about a third of the size of the entire screen, will display an app of your choice, which you can change by swiping down from the top of the Slide Over window. 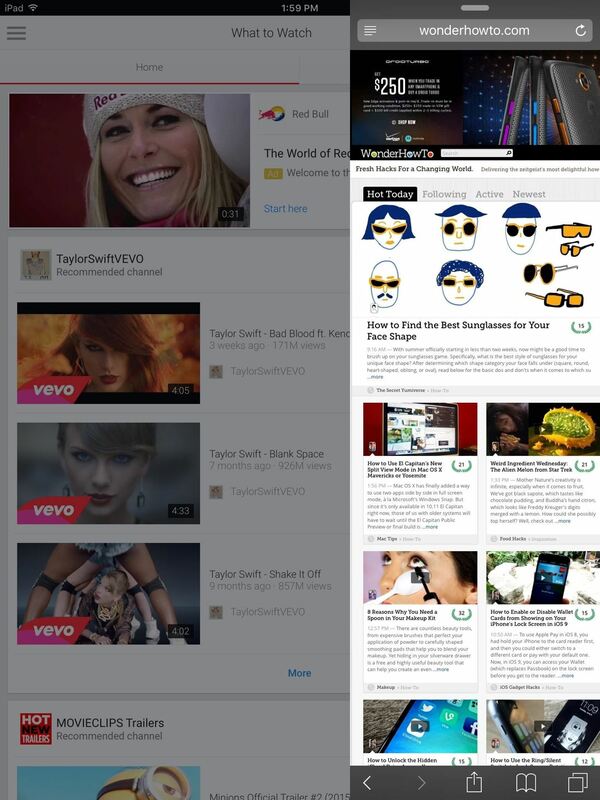 Inside the window you'll see options to use Safari, Maps, Photos, Calendar, and other stock apps. 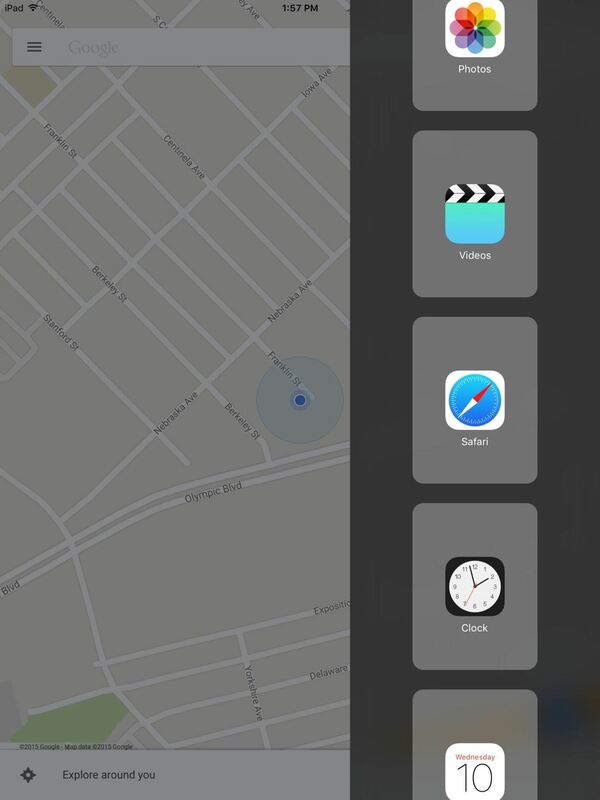 While your main app will be grayed out, you can tap on it to use it again, which will also hide the Slide Over window. Third-party app developers are able to implement Slide Over into their apps, so expect to see a lot of those soon. Split View is another multitasking feature, one that takes Slide Over and builds on it, allowing you to actually use two apps at the same time without having to minimize one or the other. All you have to do is pull down from the top of the screen in the Slide Over window and you'll be able to have two active apps. You can also drag the border in the middle either way to increase or decrease the size of an app into either a 50/50 or 70/30 split. 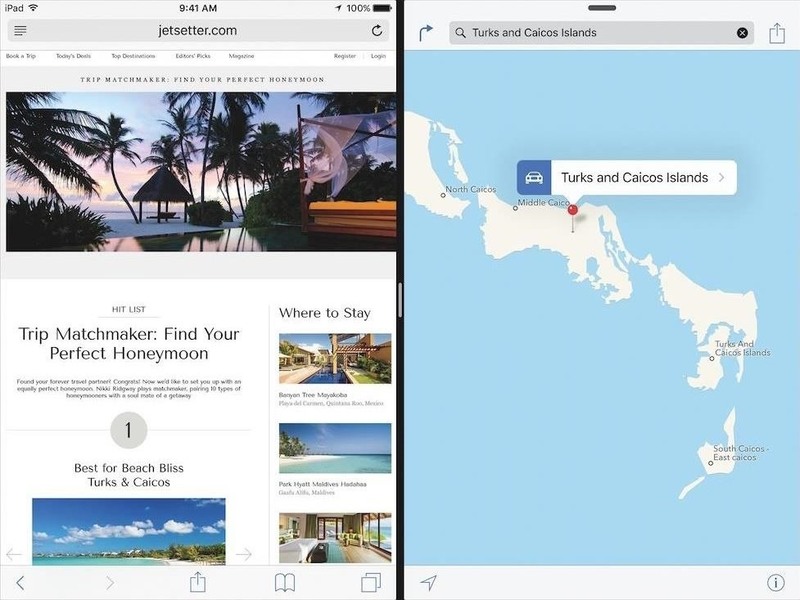 Unfortunately, Split View is only available for those that have an iPad Air 2. Does this work will all apps, only Apple apps or only apps that incorporate its usage? I was testing it out with some apps I have made myself and in the sidebar there were very few 3rd party apps with most just being Apple branded apps. I'd like to incorporate this with at least my music player app MobMusic.